“The Earth has awakening. Have you noticed? Think of all the signs of Spring you can think of. Nature is unfolding around us. Our energy is a bit different than before. Have you put your hands into the earth just to feel the energy of the soil? Did you bring flowers inside? Are you thinking about decorating? Are your creative juices flowing too? Ready for a new project? Is life changing around you? Is newness in your air? Is the seed nervous before it breaks through the shell? This is spring. Welcome back! Celebrated by goddess traditions since ancient times, the equinox marks a time of persevering through the dark and cold trials of winter (and of life), and reviving our senses and our spirits once again. And with all the celestial events lined up as they are right now, it is as if the spring goddesses—Isis, Persephone and Ostara — standing ready, fully supporting us in clearing out our deepest weeds so that we may plant beautiful new seeds in the garden of our souls. -Major endings and major new beginnings; completing old cycles and starting empowering new ones. – Unconscious becoming conscious for awareness and healing. -Unresolved karmic patterns playing out again so they can be transcended. -Painful and toxic patterns showing up so that we can finally learn the lesson and let them go. -Realizing where we have compromised, settled and been untrue to ourselves so we can revaluate and adjust our course to align with our authentic selves and highest good. Going from Pisces Full Moon ( March) Aligning with our spirit’s highest vision for our lives and daring to dream big, bold, beautiful new dreams. We dive into Aries Moon (April), Planting these new dreams in this fertile heavenly soil and co-creating their most expansive manifestation. 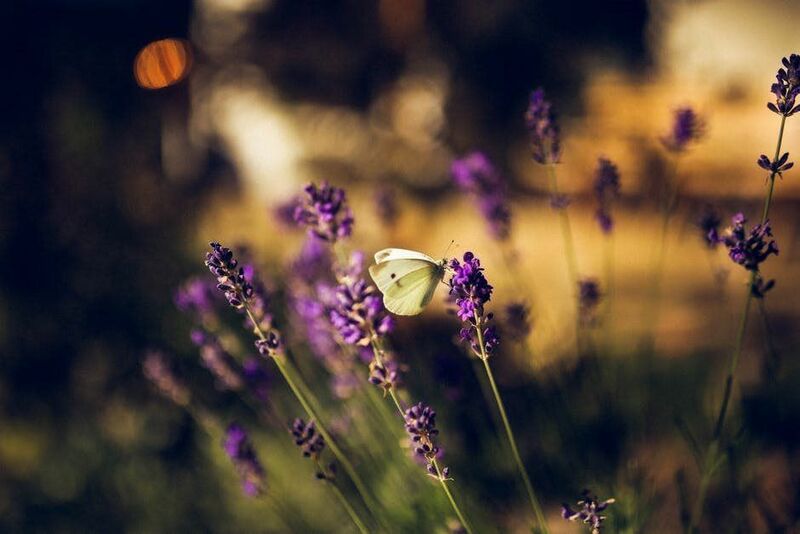 In such a powerful time of transformation, this is also an ideal time to connect with the inspiration of the spring goddesses, as they can serve to guide, empower and uplift us through this transition. We can think of these goddesses as divine aspects within ourselves or as benevolent divine helpers ever there to support us. Keep these divine aspects in mind and call on them. The ancient Egyptian goddess Isis is one of the most revered and known goddesses of spring, and given her multi-purpose roles, it is no wonder that so many connect with her. While she can be many things—queen, wife, mother, healer, magician, protectress—her gifts at spring come to us more solemnly. This was a time when the Egyptians celebrated the resurrection of Osiris, Isis’ beloved husband whom she brought back to life for only long enough to conceive their son Horus. They also honored the tears she shed when Osiris died again and could not be revived. It was believed that her tears flooded the Nile, and once they spread and settled, their waters nourished the earth, from which new life sprang. The Goddess Isis teaches us that by fully feeling and releasing our deepest grief, we can heal and create new life and new beginnings. Since she is also a goddess of resurrection and past lives, Isis helps us heal our most ancient patterns and karmic conditions. To heal our own karmic patterns and transcend beyond them, this is an ideal time for past-life regressions and for crying as much as we need to. As we embark on this intense inner work, we can ask for Isis’ support, and it will be given. Persephone is another important goddess to connect with. Since this is also a time of the unconscious becoming conscious,While she could have played the role of victim being tricked and kidnapped by the Greek god of the underworld Hades, she instead rose above her fate and became a full goddess unto herself. During the winter, she stayed with Hades (whom she married and came to love), became queen of the underworld and guided souls, while the earth became barren in her absence. 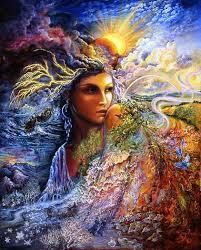 In the spring, she emerged from the dark, reunited with her mother Demeter (goddess of harvest) and their joy made the earth renew and flourish again. Persephone teaches us the value of delving into the deepest, darkest parts of our unconscious, of embracing what we find, of mastering ourselves and ruling all inner domains. She shows us that when we face and accept all parts of ourselves, we cultivate the power to transform our inner and outer conditions and rise from our retreat to create life anew. Another Goddess Ostara, from whose name and traditions of Easter were inspired. After facing, healing and transmuting our karmic and unconscious patterns, we are at last blessed with the promise of a bright new dawn, restorative sunshine, nurturing spring showers, potent new seedlings, magical rainbows and even eggs (symbolizing fertility and new life). Now we are ready to create a beautiful new vision for our lives and set new intentions into motion. Now we can daydream, write out our new goals and follow our inner guidance one step and moment at a time to bring them into fullest fruition. We can now grow the seeds of our dreams by giving them showers of faith, the sunshine of optimism and the complete surrender that all seedlings already have as they sprout and flourish in their own perfect way and time. As we embrace and flow with all the gifts of this magical equinox, we can rest in the assurance that just as spring brings new beauty and life to the earth after a harsh and long winter, so too will its goddesses and the entire cosmos support us in manifesting the highest potential of our new beginnings. For we too are part of all these cycles, and the goddesses, stars and heavens eternally guide us through all the seasons of our lives. Seeding -To turn this into a magical spring ritual, we can write our new intentions on a biodegradable paper, fold it and place it into soil (in a garden or pot) and plant a new seed of an actual flower, herb or plant on top. Every time we tend to this new life we are co-creating, we can celebrate the growth of our own goals too. Weeding -A ritual to embark on such a journey ourselves is to take some time to reflect and introspect, process our unexpressed feelings by journaling them, write an intention of forgiving, blessing and releasing everyone involved in our old stories (including ourselves) and then ceremoniously (and safely) burning the papers. As their ashes fall to the ground—like Isis’ tears—the soil is enriched and ready to support new seeds.